CAF have finally revealed the official drawing pots for the draw of the 2019 Africa Cup of Nations, with Bafana Bafana being placed in pot three, which means they could receive a potential Group of Death. 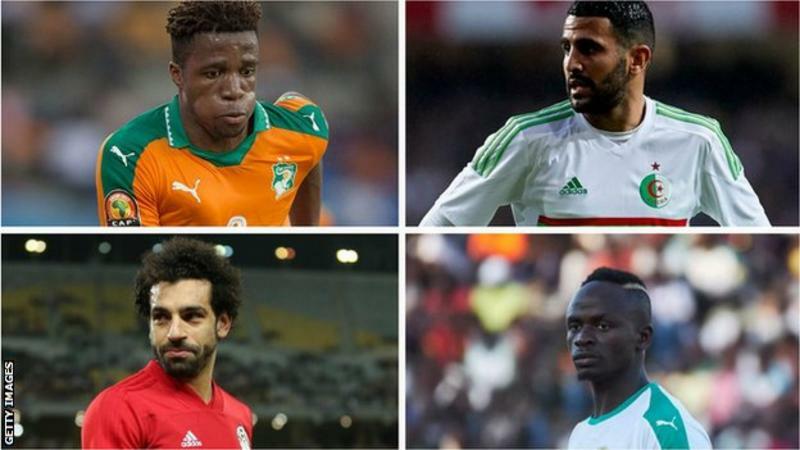 The draw for the tournament in Egypt will take place in Cairo on Friday night and CAF confirmed the drawing pots one day ahead of the spectacle. “The CAF Executive Committee at its meeting on Thursday, 11 April 2019, in Cairo, Egypt approved the draw procedure for the final tournament of the Total Africa Cup of Nations Egypt 2019,” reads an official statement on CAF’s website. “The procedure was proposed by the Organising Committee for the Africa Cup of Nations at its meeting 24-hours earlier. South Africa, who sit in 73rd position overall in the latest FIFA ranking and in 13th on the continent, were placed in drawing pot three alongside Uganda, Benin, Mauritania, Madagascar and Kenya, which means Stuart Baxter’s men cannot face these five sides. The draw will take place in Cairo on Friday night at 20:00 SA time and Soccer Laduma will keep you up to date about Bafana’s group. I thought it was already decided we would be in Pot 2? This is good news and reflects our current standing on the continent. Anyway, whether na Pot 1, 2, 3, 4, or 5, we go still helele !!! Missed two ANCs in a row but still rock up in Pot 1. ...what does being in pot 1 mean? Guaranteed win, all the way, championship trophy? would be a dream group. CE go sweet o. Last time we met our noisy( albeit for good reasons) neighbors from the West in a major competition was way back in 2010(i will never forget that lone goal from Asamoah Gyan ), now it's looking likely we will be meeting Ghana again since teams seeded into pot 2 will surely meet the ones in Pot 1...a Ghana vs Nigeria group final group stage qualification will be a major nail biter, this time the new generation from both teams will meet... Ndidi vs Partey, Iwobi vs Astu, Ekuban/Jordan/Warris vs Omeruo, Ekong, Ajayi, Balogun. Onyekuru/Osimhen, Samuel Kalu/Onuachu vs their defense...summer can't come fast enough. Now they are going strictly by FIFA rankings. Has FIFA forced their hand on CAF, because UEFA does not use FIFA rankings for their pots for UEFA competitions. It's the Amaju Pinnick effect! Nigeria has more say so now and pulls more weight in the corridors of African football. What on earth are you going on about? Isn't the FIFA rankings a globally accepted football metric? Pinnick was able to successfully argue for the FIFA rankings to be used and won. What's wrong in celebrating that? How is Cameroon in Pot 1? I hope we get the midgets. Its been a while since we beat that a$$. You should endeavor to understand what is being said and why it's being said before going off half cocked. I personally prefer to have the weight of performances in previous African Cups factored in to underscore the importance of our own competitions, and therefore was quite fine with Nigeria being in pot 2. So this has nothing to do with your imaginary victory flag. Rather, I'm simply doffing my hat to the hard work that our Federation president has done to finally giving Nigeria a voice at the table where these decisions are taken after so many years when we did not have a say in these matters. Last edited by mystic on Fri Apr 12, 2019 11:20 am, edited 1 time in total.